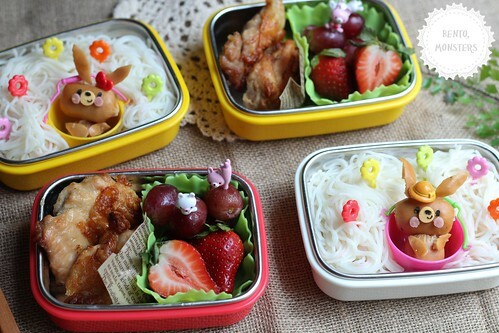 For lunch, I packed cold somen, grilled chicken, grapes and strawberries. They are having lunch at home, so I just kept the somen sauce in the fridge. I packed their somen in thermal containers for School. 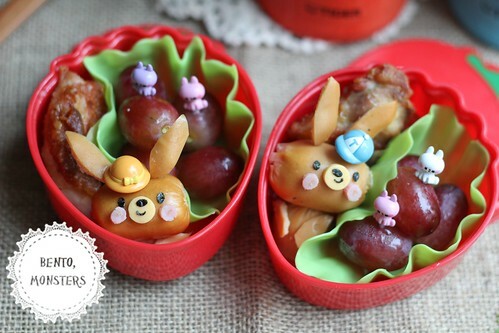 I also packed grilled chicken and grapes for them. 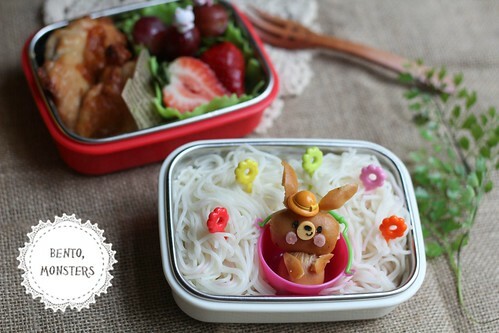 I loove bunnies, so I am always happy when I see bunny bentos. 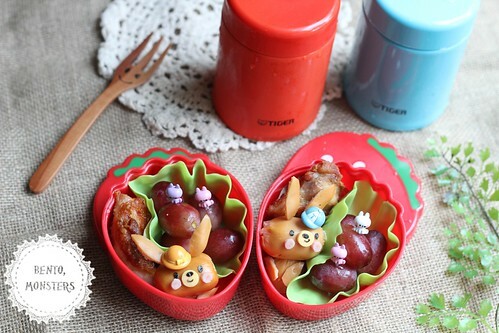 Your sausage bunnies seem to be having fun in the middle of the somen, they are cute. Wow a great bunny! 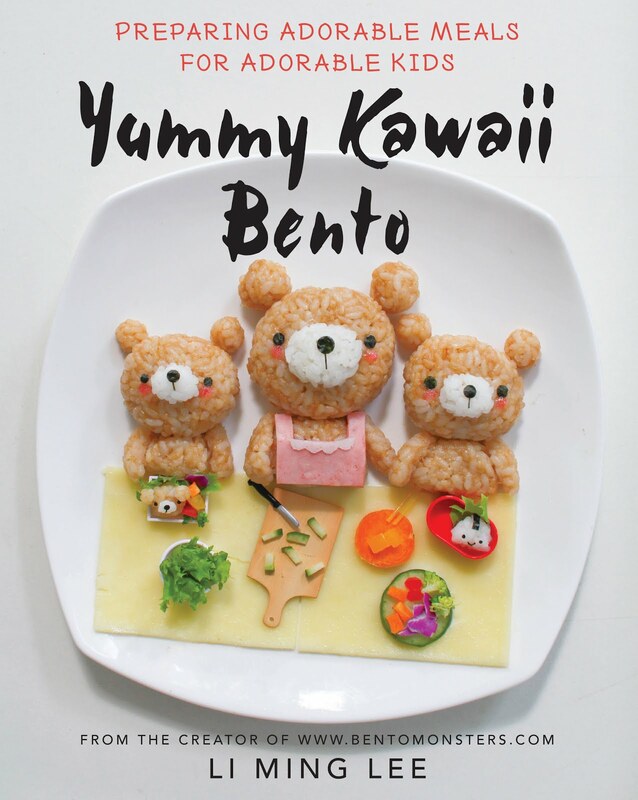 So many the neat things you can make out of those tiny sausages; Wonderful!